How to Set Up Your Social Media for Marketing Business? Initially started as an extension to online marketing, social media for marketing business has now branched itself into a core niche. Every business, no matter if it is small-scale or a large enterprise, wants to make their mark on social media. Do you want to make the most of your online marketing strategy? Is your website not gaining traffic? Are your business campaigns not getting good responses? Then social media marketing is the way to go. How Can You Start With Social Media Marketing For Business? The very first thing you will need to do is to set up your social media handles across all the platforms that you want to engage in. Try to use the same username in all social media. Choose a professional profile picture and use the same picture for all social media handles and do the same for the cover picture. Don’t forget to include your website link in all your social media handles. If you do not have a website, it is best to hire a web development services company and get a professional website for your business. Not all social media platforms are the same. 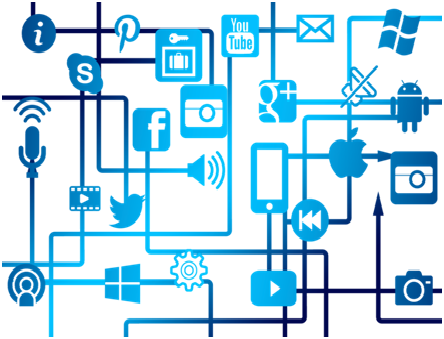 Every social media requires different ways of approach and not all social media will be suitable for your business and moreover, you can’t concentrate on multiple social media platforms at the same time. 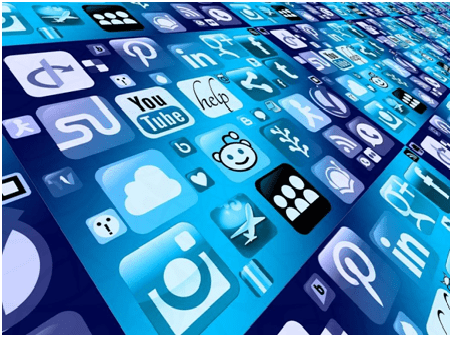 For setting up social media for marketing business, you will have to pick a few platforms depending on where your target audience is and where it will be much easier to lay your foundation. Here are a few major social media platforms to start with. Of all the social media platforms, Facebook has the largest number of members ever. Generally, irrespective of the kind of exposure you are looking for, it is best to have an official Facebook page to get all the benefits of social media marketing for business. There is a vast mix of people available on Facebook and if you are confused about choosing a right platform to concentrate on, then you can start with Facebook and branch out later to other social media platforms once you get a hang of it. Facebook ads cost less too; therefore it will more affordable to promote your business in social media through Facebook. Generally, Facebook is best used to run contests, announce discounts and offers and any new releases and announcements, especially through targeted advertising. Twitter is a great platform to have a personal connection with your target audience through social media marketing. Create a twitter account of your business associated with your twitter business handle. Business conversations and customer interactions happen a lot over Twitter than in any other social media. You can follow some of the industry experts, be vocal about your opinions in your niche, announce discounts and offers and the most important of all, reply to tweets from your audience and engage widely with the tweets about your business. Twitter is a great place for personalization strategies where it is important to follow and reply to tweets about your business, be it complaints or compliments. Instagram is all about pictures. It is a great platform if your business has a lot of visual elements in it; meaning, if your business is something which can be beautifully captured in pictures, then Instagram is the way to go. For example, many restaurants, beauty products or shops can make a good presence on Instagram with the help of a good camera and basic editing skills. Instagram advertisements are also much cheaper and you can even combine your Facebook advertisements to extend to Instagram too. LinkedIn is a professional social media for marketing business. The marketing strategy for LinkedIn ought to be different from the other social media platforms as it is majorly used for sharing content and connect with like-minded people. Without bluntly promoting on LinkedIn, you will have to redress your promotions by giving out useful information and making your mark as an expert in the LinkedIn community. An advantage of using LinkedIn is the LinkedIn groups where you can join any group and widely promote your content and even get the option of sending out emails to hundreds of people from your group. It is a great way to gather an email list easily and immediately reach a wide audience. LinkedIn is generally the best-suited social media for business that specializes in services. There are a lot more social media platforms, but these are the top four to start with. After successfully setting up social media for marketing business, it is time to take the plunge and make the most out of it. It is of no use to set up social media accounts only to randomly post content without any particular plan. Come up with a good social media marketing strategy and adhere to it to develop your audience base. The very first step is to mark your objectives and goals of being on social media. What are the benefits that you are looking to reap? 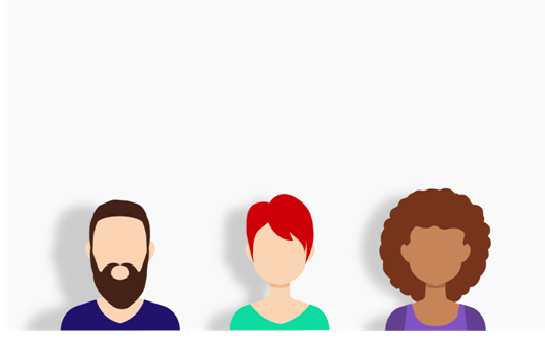 Create audience personas to have a clear vision of who your target audience is. All your strategies and content should revolve around these created personas. Analyze your competition and their strategies. Watch their interactions with the audience and try to see what you could learn from them and what more you can do to be better than them. Stay updated on the current trends and if there are any trends that fit in with your business, make use of it. It’s all about the timing. If you do not have the resources to create and implement your own social media strategy, you can hire any digital marketing agency to help you with the social media for marketing business. Don’t be irregular in your posts. Create a timeline and adhere to it. It is important to post often to stay in the minds of your customers. But it doesn’t mean that you need to post constantly for every few hours. If you have decided to post every day in the morning, then it is important to follow that without fail. Don’t forget to push your website content whenever possible in social media. If your website is the major hub where all your business happens, then it very important to generate traffic back to your website to fulfill all your social media marketing benefits and make sure that your website is optimized to retain your conversions from social media, else all the efforts will go futile. It is best to hire a website design agency to help you create a good website that helps in conversions. Once you have started posting content, it is time to track the metrics and analyze the trends to get an idea of your performance. Though vanity metrics like likes, comments and retweets are easy to get, try to focus more on the important metrics like conversion rate that aligns with your business objectives. You can use these metrics during social media audits too and try to understand the performance of your content till date and make improvements to it. You can also include your social media handles and a small timeline to display recent posts in your website. You can even hire an affordable website design company to get the job done for you. Just share the requirements with them and let them do their magic. 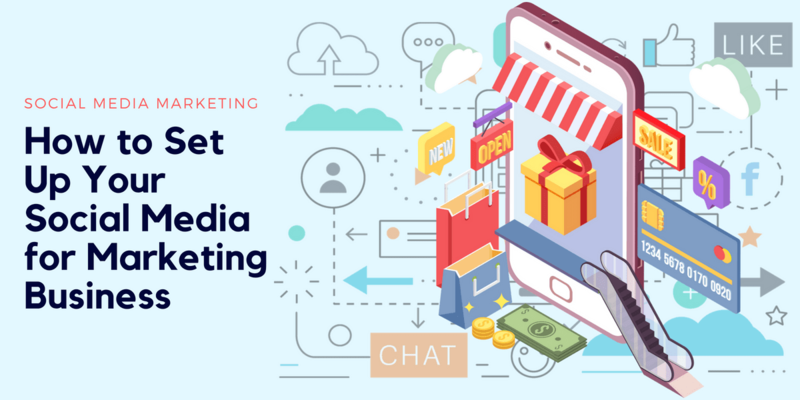 Social media for marketing business needs a lot of attention and you will have to allocate specific time to concentrate on it along with some of your resources including your budget. The exposure from social media marketing can increase your conversion rate and your customers and help you to make a brand out of your business. Responsive vs. Adaptive Web Design – Which is Best for Business? Are You Following These 20 Website Design Best Practices For 2018?